Logitech introduced a line of mice, keyboards, webcams, and lapdesks with juicy colors and layered designs. Logitech (SIX: LOGN) (NASDAQ: LOGI) today unveiled its latest selection of coordinated, must-have computer accessories, the Logitech Color Collection. A fresh update to one of the company’s most popular lines, this new collection features bright, juicy colors and layered designs that make it easy for you to infuse your digital life with a touch of personality. Designed to transform your favorite computer peripherals into a form of self-expression, the lineup of accessories is inspired by the intersection of future and familiar. It offers artfully crafted, stylish products that combine the excitement of digital and the warmth of the handmade. Digital layers, stenciled shapes and hand-drawn elements create exclusive patterns that are evocative, tactile, dynamic and highly expressive. 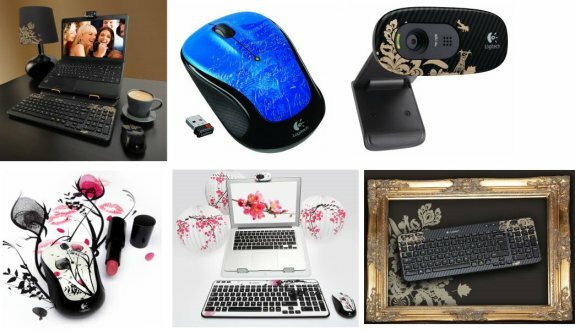 And because the designs vary from mice to keyboards, webcams to lapdesks, Logitech’s newest collection makes it easy for you to create a one-of-a-kind ensemble. The Logitech Color Collection offers a reflection of your personal style at an affordable price, ranging from $19.99 - $59.99, depending on the product. The new designs are expected to be available in the U.S. and Europe beginning in June.